Great New Tops from LDesigns! Beautiful soft colors and feminine chiffon fabrics. A must have for those Hot Texas Summers. 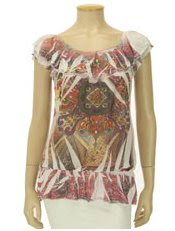 This top available in White (shown) and Light Green.